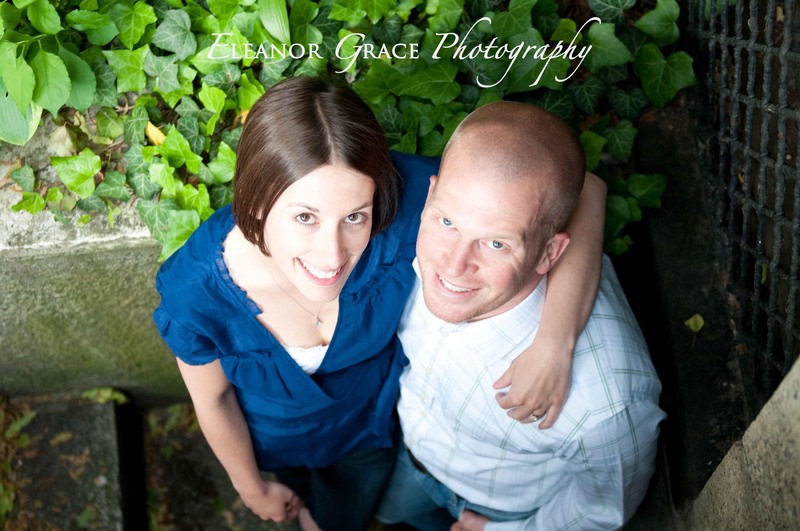 Prior to our shoot Lauren mentioned that she and Ryan wanted romantic engagement photos of them out and about Boston because it is the city where they met, the city where they fell in love and the city where Ryan asked her to marry him. We planned to meet in the Public Garden because what could more “Boston” than the Swan Boats and Cheers and the Back Bay skyline and the Garden itself (especially with the Ducklings in their Bruins attire!)? Well, our plans were interrupted by VERY high winds and a “little” race known as the Corporate Challenge. And so we went to Plan B: protected Beacon Hill alleyways (and some areas beyond unlocked gates…shhh…. 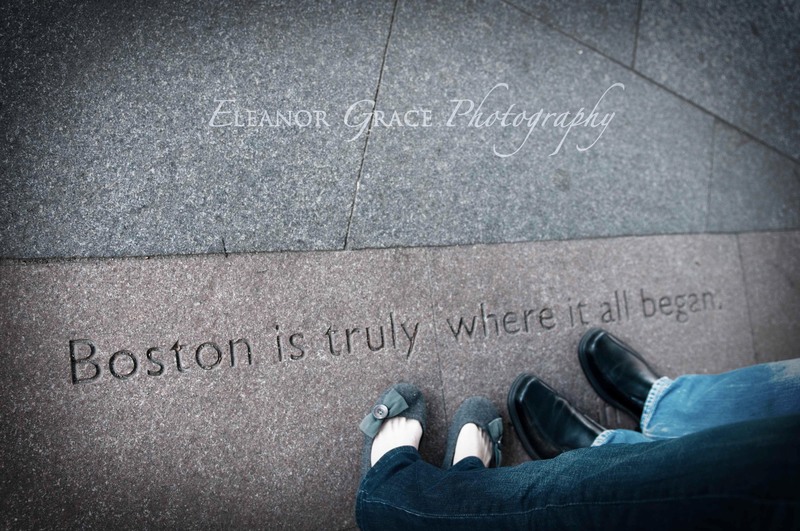 ), a roof deck and Faneuil Hall…and I have to say – we had a blast everywhere we went! Soon they will be moving across the country to start the next exciting phase of their careers and lives together but for this one night in Boston, it was my mission to capture photos of them and for them…in Boston…where it truly all began for them. 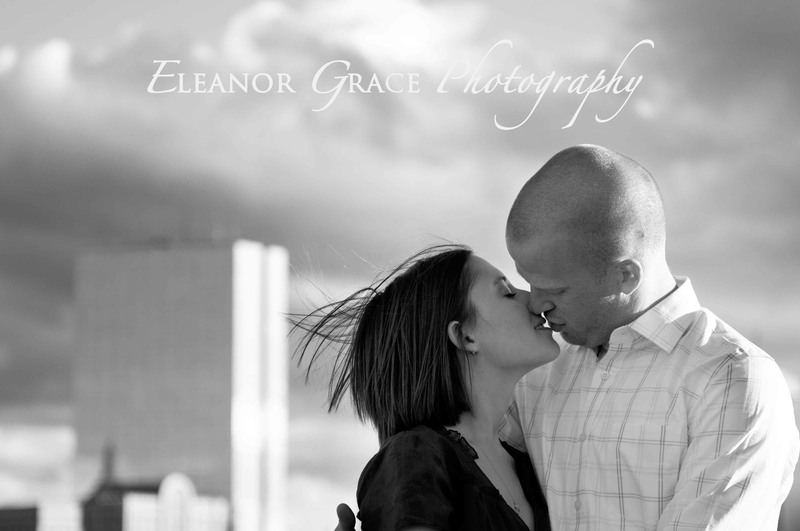 And I know what you are thinking – lots of smooching shots right? 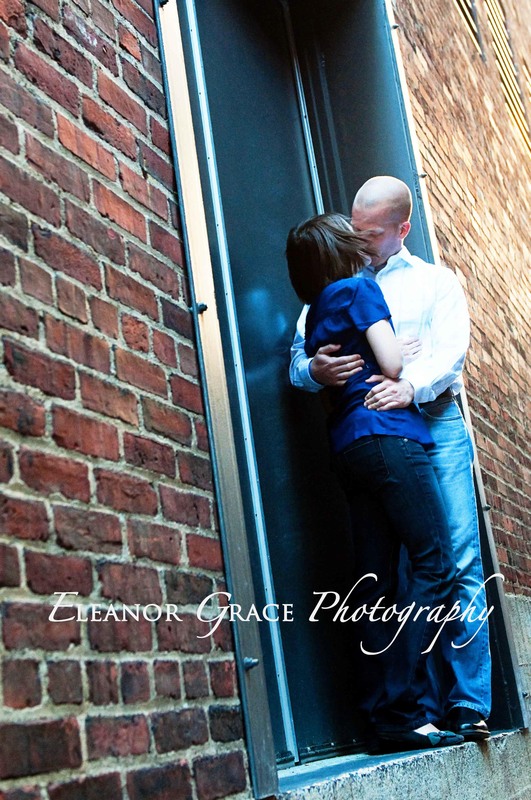 Well because one or more photos from our session may be used for a save-the-date card I decided to keep many the “hey stop kissing for one second please and look at the lens and smile!” shots under wraps for now. 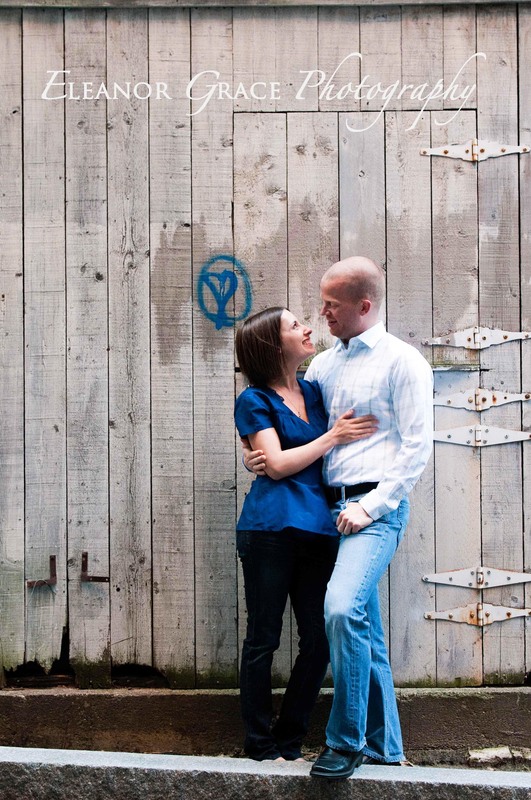 But I promise I also captured lots of smiling faces of this lovable couple!